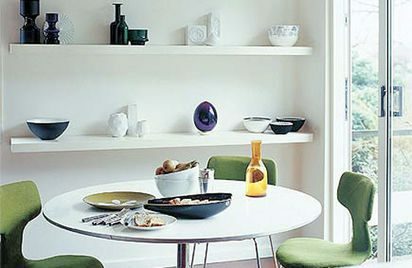 Green has been making a splash for a while now in interiors as seen in the green glass bottles mixed with purple on the shelves and green Kvadrat-covered Jacobsen chairs in founding partner Lucy’s kitchen. 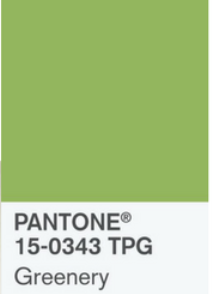 But when Pantone named their colour of 2017 ‘Greenery’ we knew we had the stamp of approval. When everything else around you is looking a little bit shaky the natural reaction is to head straight to mother earth for some sustenance and so last year we brought hints of green to the interiors of five properties we dressed in Blackheath, Kentish Town, Islington, Crouch End and Dulwich for The Modern House estate agency, using plants as accents that worked with different woods, wicker and textures. The Midcentury era was all about mixing plants with natural materials. Arne Jacobsen did this to great effect at the SAS hotel when he created a huge installation of orchids in his Winter Garden. Terrariums and hanging rope baskets were a huge feature in the Sixties and Seventies. Bringing the outside in helped more sensitive types escape from the political unrest so the heart-opening colour has always been a shade us Midmod fans feel a great affinity with. 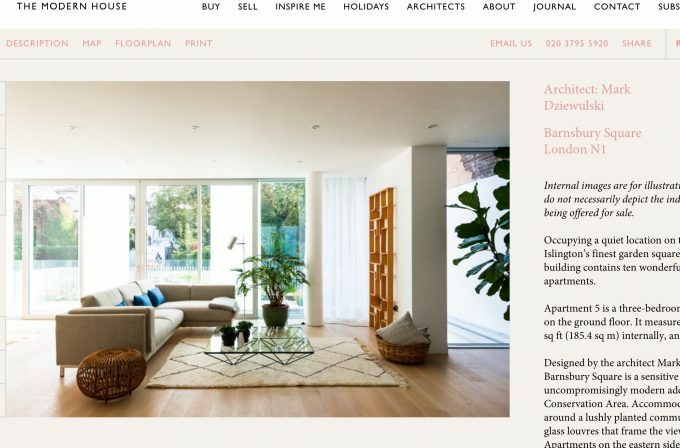 The Modern Marketplace at our Modern Shows website has some fresh pieces in this season’s Spring colour. 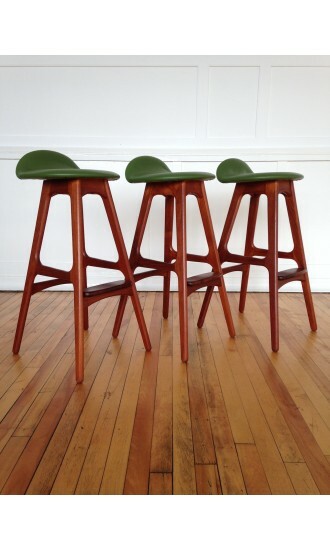 These Erik Buch barstools with their smashed avocado leather seats from BB Bespoke particularly caught our eye because the green works so well with the teak and rosewood structure. 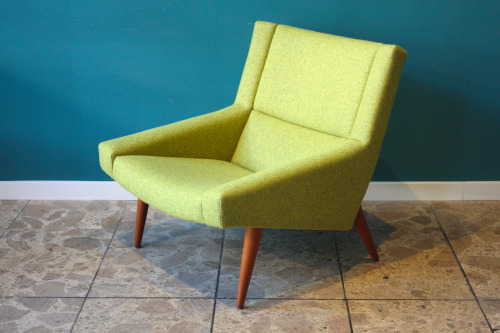 And we love the boldness of this newly upholstered acid green Illum Wikkelso Model 50 lounge chair from one of our newest dealers on The Modern Marketplace – Coroto of Berlin. 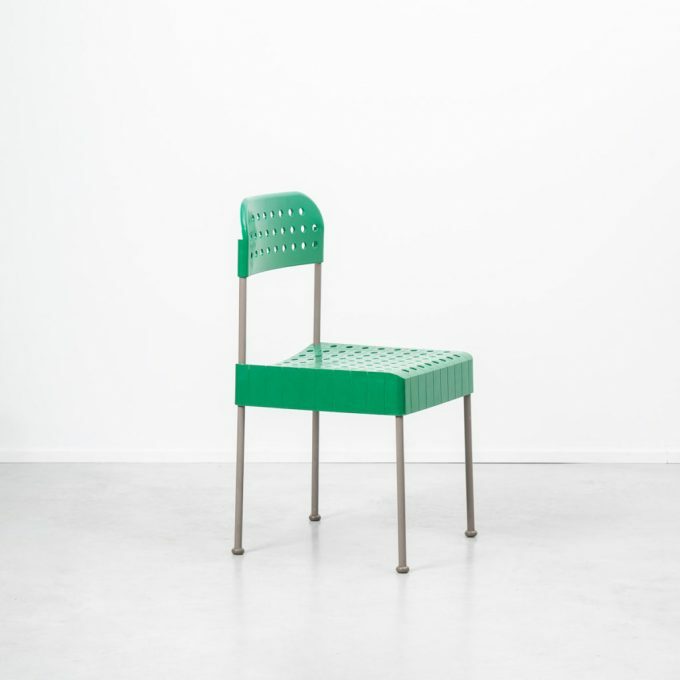 Head to Buy Vintage The Modern Marketplace to snap up beauties including this rare Box chair by Enzo Mari for Castello which just happens to be ON SALE at Beton Brut. 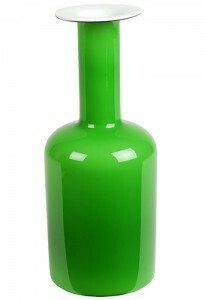 And if you would rather see the pieces before you buy them or just fancy a walk around a Brutalist building with furniture, posters, art, ceramics, clocks, maps, glass and midcentury jewellery that will have your eyes on stalks head to Midcentury Modern® show on Sunday 19th March to find hard to source pieces like this large apple green Gulvase before the crowd gets in. 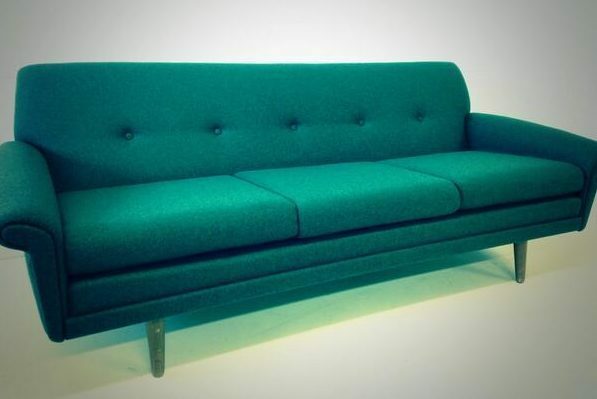 Contact petra or lucy@modernshows.com if you have a building that you need Lucy and Petra to source furniture, linen, art, lush plants and smalls for whether it be for selling or for shoots or film work. Lucy’s house is for hire. Check out The Midcentury House here or contact Lucy directly.